The UN International Day in Support of Victims of Torture extends solidarity to victims and revitalises the fight against torture. Many countries in Asia have still not ratified the Convention Against Torture and its Optional Protocol, a crucial instrument against this inhumane practice. 26 June 2007, the UN International Day in Support of Victims of Torture, was a day to revitalise the fight against all acts of torture. On 10 December 1984, the UN General Assembly adopted the Convention Against Torture and Other Cruel, Inhuman, or Degrading Treatment or Punishment, a groundbreaking instrument that clearly proclaims that there is no excuse for torture. War, political unrest, or any public emergency cannot be used to justify torture. Moreover, the Convention Against Torture provides that state parties should ensure that all acts of torture are specified as offences under their criminal laws. 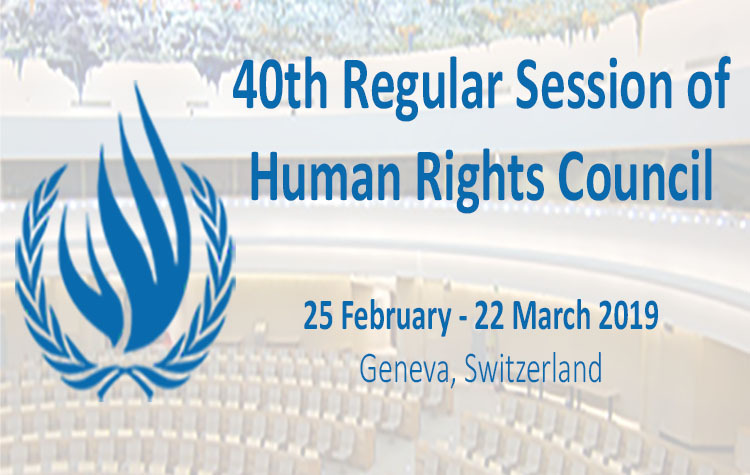 To further protect the right of all persons from being tortured, an Optional Protocol to this Convention was adopted by the General Assembly on 18 December 2002. The primary aim of the Optional Protocol is to allow for independent international and national bodies to visit places of detention to prevent the infliction of torture upon the detainees. Under the Optional Protocol, state parties are mandated to create or identify a visiting body for the prevention of torture. State parties are obliged to allow visits from international and national bodies to its detention places to ensure the protection of persons detained therein against torture and other cruel, inhuman or degrading treatment or punishment. Although it has been almost 23 years since the adoption of the Convention Against Torture, and almost seven years since the adoption of its Optional Protocol, many cases of torture continue to be reported from all across Asia. Human rights defenders are often victims of torture or receive threats of torture because of their work to protect and promote human rights. Often human rights defenders are tortured while in the custody of government authorities and more often than not, torture occurs under detention by the authorities without charge. The Malaysian government is one of many governments in Asia that has not yet ratified the Convention Against Torture and its Optional Protocol yet where torture is reported as a prevalent practice by police authorities. In Malaysia, the government enjoys unchecked powers to detain individuals without charge under the Internal Security Act (ISA), a draconian measure enacted in 1960 and originally meant to be used against communist insurgents. After the conflict between the government and the communist insurgents ended, the government started using the ISA to silence its political opponents and critics. Under Section 73 of the ISA, police authorities in Malaysia are allowed to detain any person for interrogation for 60 days on the suspicion that “he or she acted or is about to act or is likely to act in any manner prejudicial to the security of Malaysia.” Many human rights defenders in Malaysia have been placed in detention under this provision. Numerous reports reveal that within this first 60-day period of detention, prison guards routinely subject victims to torture. Detainees are physically assaulted, humiliated, and abused. They suffer from blows to the soles of the feet, suffocation in water, burns, electric shocks, and sleep deprivation. They are not given recourse to legal counsel, nor are they allowed visits from their families. In some cases, families do not know in which detention centres their relatives are being held. Asian governments must affirm the commitment they made under the 1993 Vienna Declaration. Their ratification of the Convention on Torture and its Optional Protocol would send a signal to the entire world that Asian countries do indeed recognise torture as an atrocious violation against human dignity. The ratification of these two instruments would also send a clear signal to the world that Asian countries respect human rights and are earnest in promoting and protecting human rights for all. INDONESIA – Torture is a crime!